There's some sort of mysterious otherworldly connection between dads and grills. This is the perfect time to capitalize on that relationship to show how much you care. 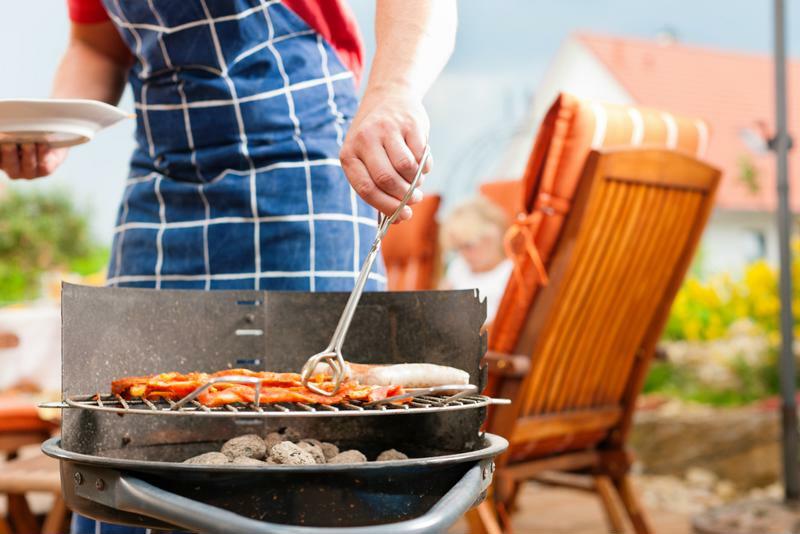 Before you throw those burgers on the grill, consider a few of these barbecue tips. Put that macaroni art and the "World's Best Dad" mug gift ideas on hold. One thing your dad is sure to wholeheartedly love is a big meal on the grill. That doesn't always mean a rack of ribs. It could be T-bone steaks, some salmon or even a platter of kebabs. Your job is to find out what dad wants and get the best product out there. It's a special occasion, so don't hold back from buying the best cut at the grocer. Of course, most people would prefer to surprise dad with the gift, but it's hard to keep a secret when it's taking up so much fridge space for hours at a time. Don't risk spoiling the surprise. Instead of marinating that cut in the fridge for hours, turn the prep time into minutes with a FoodSaver® GameSaver® Quick Marinator. With the Quick Marinator, you'll need less than a half hour to marinate almost anything for the grill. A Quick Marinator is the easiest way to go from the fridge to the grill in just minutes. When you're dealing with high-quality meats, you want to keep your food as fresh as the day it was grilled. Luckily, doing that is as easy as vacuum sealing with the FoodSaver® Seal-in-Savings Kit. Lock in the flavor of everything you cooked and any leftover meats that didn't make it to the grill. Those uncooked cuts will be safe from freezer burn and fresh for another special occasion, while your other grilled and vacuum sealed leftovers will be just as flavorful tomorrow. It'll be like Father's Day all over again! With all the FoodSaver® accessories, surprising dad on Father's Day is as easy as taking a trip to the grocer just hours before dinner, and sealing up those foods for later is the perfect way to make your special meal into the gift that keeps on giving.